Why Would My Orthodontist Give Me a Retainer Without Braces? There are many different aspects to orthodontic treatment, and each patient is going to require a different treatment plan. What does it mean if your orthodontist suggests you get a retainer without having braces? A retainer serves a very different purpose than braces do. As the name implies, a retainer is meant to retain your teeth in a specific position so movement and shifting cannot affect your alignment. Retainers cannot serve the same function as braces or Invisalign in any capacity, but there are a few circumstances where your orthodontist might have you wear a retainer instead of or prior to getting a full set of braces. If there is a small, easily adjustable issue with one to two teeth in your mouth, that issue could potentially be fixed with retainers instead of a full set of braces. To elaborate, small gaps, single tooth adjustments, and other very minor issues can be fixed via retainers. Any other adjustments that need to be done to your teeth would be better suited to braces. If your mouth requires more orthodontic refinement, your orthodontist will likely not even give you the option of getting a retainer to fix the issues. Overbites, underbites, crossbites, multiple gaps, or crooked teeth are all issues best suited for standard braces or Invisalign. 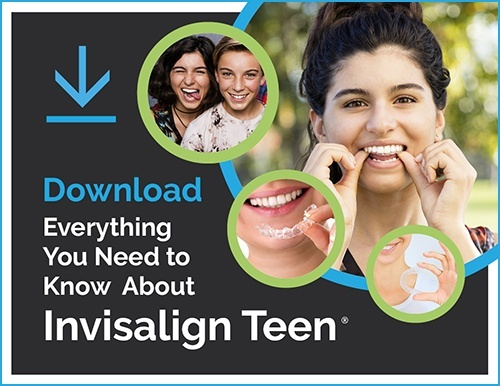 Now, if for some reason you don’t want the full set of braces, you have the option to get Invisalign as long as your orthodontist says you’re a good candidate. This option gives you the benefit of braces without the noticeability they have. Invisalign has many benefits, but it is not the same as braces. You should always choose the option that is the best fit with your necessary treatment. Another reason your orthodontist might give you a retainer without braces is to assist in correcting tongue thrusting issues. A tongue thrust is when your tongue goes between your front teeth or moves to the side when you talk or swallow. This can cause misalignment in those teeth from repeated force being put on them, but it can be fixed using retainers. The retainers might have something blocking your tongue from going forward or to the side (usually metal bars of some sort) and will instead force the tongue to sit at the roof of the mouth. The habit of thumbsucking in children can also be alleviated with a retainer in much the same way. It’s not uncommon for younger patients to be given a retainer before they get braces to eliminate these issues. Retainers are also able to alleviate a patient’s habit of grinding their teeth. If retainers are worn at night, the jaw cannot close completely, drastically inhibiting their ability to grind their teeth while they sleep. Overall, retainers in lieu of braces is not recommended by orthodontists. Retainers are not as strong as braces or Invisalign and cannot fix most orthodontic issues seen in patients. If you’re unsure which option would be best for you, talk to your orthodontist. See what they have to say, but more often than not, braces or Invisalign are going to be the best route. There is a lot more control over what can be fixed, and they are the best and most effective ways of treating misalignment in teeth.